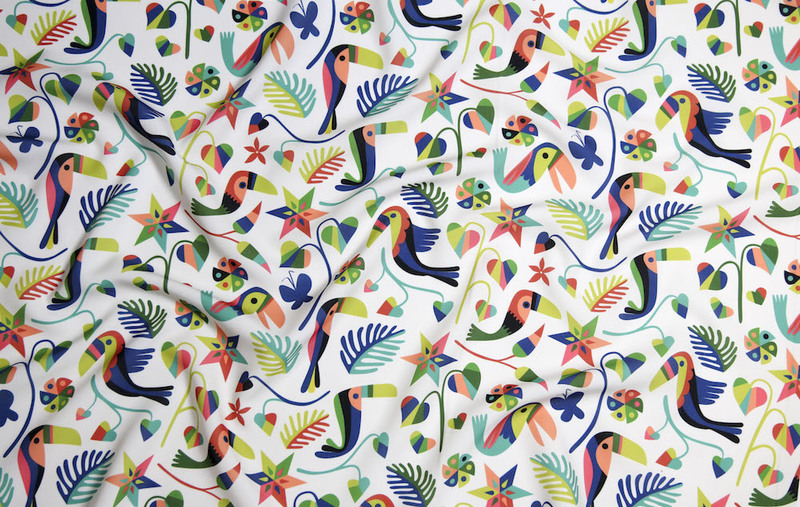 Otomi Toucan by Chris Jorge is the winner of this week’s design challenge with Bucketfeet! 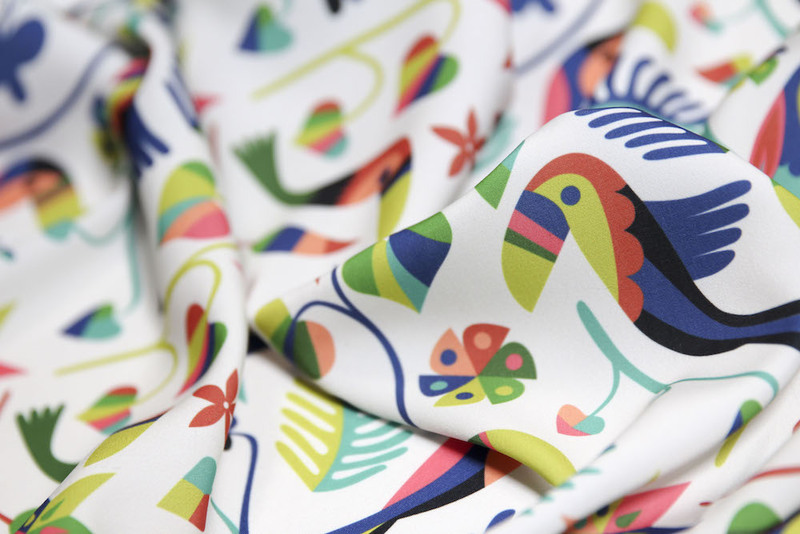 Big congrats to first-time Design Challenge winner Chris_Jorge with her vibrantly colorful and energetic “Otomi Toucan” design, which will be made into a limited run of shoes from Bucketfeet! 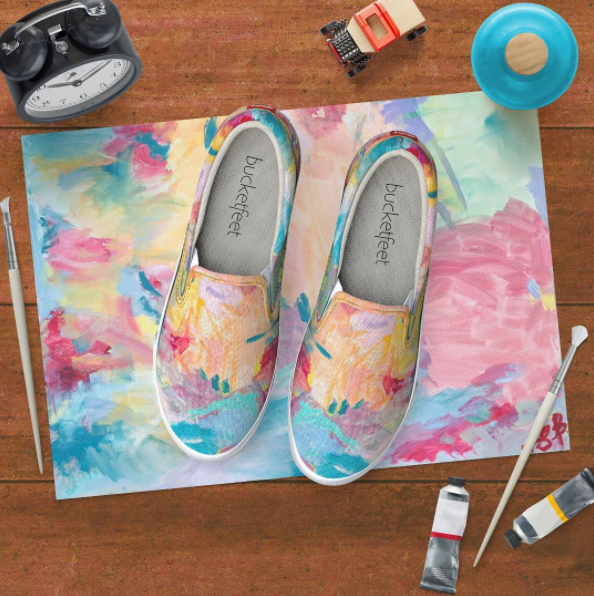 Chris will also receive a pair of shoes with her design from Bucketfeet and a $200 Spoonflower credit. 2nd place winner Pinky Wittingslow will receive a $75 credit to Bucketfeet, along with a $100 Spoonflower credit. 3rd place winner Nadia Petremand will receive a $75 credit to Bucketfeet.com, along with a $50 Spoonflower credit. Remaining top 10 designs will receive a $20 Spoonflower credit, and a discount code for 20% off at Bucketfeet.com. The entire top 25 have been made available for sale, you can check them all out here! We’re so excited to announce that we’re teaming back up with our friends at Bucketfeet for a whole month of challenges in February! Seeing our community’s designs on shoes was pretty amazing, we knew we had to pair up again! 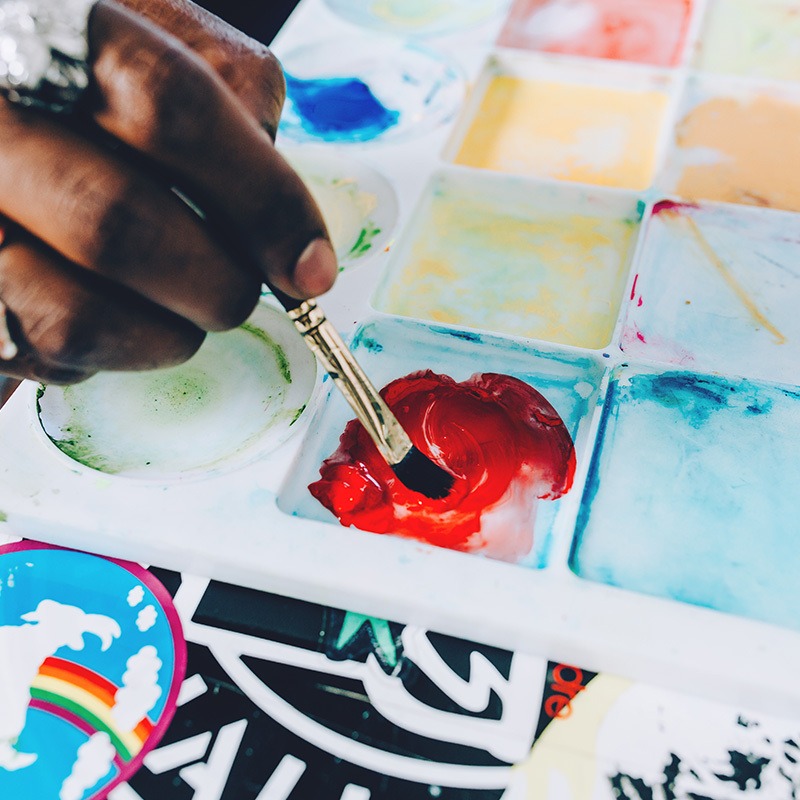 Bucketfeet empowers artists to share their stories and perspectives using the universal language of art and a shoe as their canvas. Out of respect and celebration of the rich and diverse cultures of Native American peoples, this month’s design challenges will be inspired by “Spirit Animals” (also known as power animals or totems) with 4 sub-themes: desert, mountain, rainforest and aquatic. 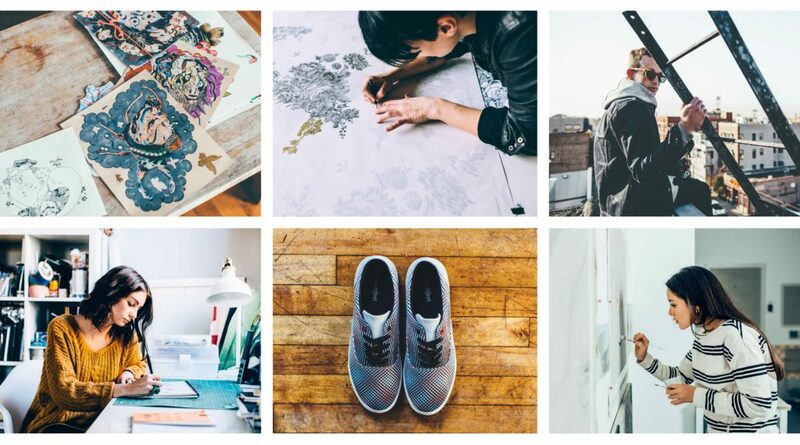 For every design entered into the 4 Bucketfeet themes, Spoonflower will be donating $1 to the Native American Rights Fund (NARF), an organization that works to protect Native rights. Bucketfeet will also be donating $1 per pair sold.